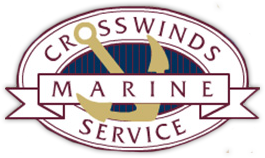 Welcome to Crosswinds Marine Service, the best full service marina, service and repair facility on White Lake. Located just across the bridge from Montague in beautiful Whitehall, we are the perfect location for you to call home during the summer. Our family has called West Michigan home for close to 30 years. We moved here from Chicago with a passion for boating and opened Crosswinds. More importantly, Crosswinds Marine Service has been taking care of all your boating needs for those same 29 years, right here on White Lake. Nobody knows how important your second home is then we do, hey we are boaters too! We specialize in four areas here at Crosswinds. First and foremost is our Customer Service. You will always find our team ready to help in any way. We understand that this is your time to get away and relax, let us know how we can help. Next is our Service. We will take care of your boat, just like it is our own. Our technicians are Factory Certified from Mercruiser, Crusader, Universal, Westerbeke, Kohler and Yanmar just to name a few. We are also White Lake’s only Factory Authorized Mercruiser Parts and Service Dealer. We are a marina, so slips we surely do have! Our slips range in size from 30’ to 50’ and we have transient slips up to 105’. For your convenience, we also offer fuel service and a pump out station at the end of the fuel dock. Our final specialty is Storage. We have heated indoor storage as well as outdoor storage. For those of you that like to work on your boat throughout the winter, you are welcome to come inside and do that. For everyone else, let our team take care of your repairs during the winter months.